South Dakota deer consist of both white-tailed and mule deer. They are found throughout Custer State Park and the entire Black Hills region of South Dakota. South Dakota deer include both mule and white-tail deer. Mule deer are named for their large ears and have black-tipped tails are carried down when the deer runs. White-tailed deer live mainly in the forested areas and have white hair on the underside of its tail that looks like a waving flag, flipped up when running. Mule deer antlers fork as they grow, rather than branching from a single main beam, as is the case with white-tails. South Dakota deer are not well equipped to fight back and rely on their speed and alertness to avoid predators such as mountain lions and coyotes. 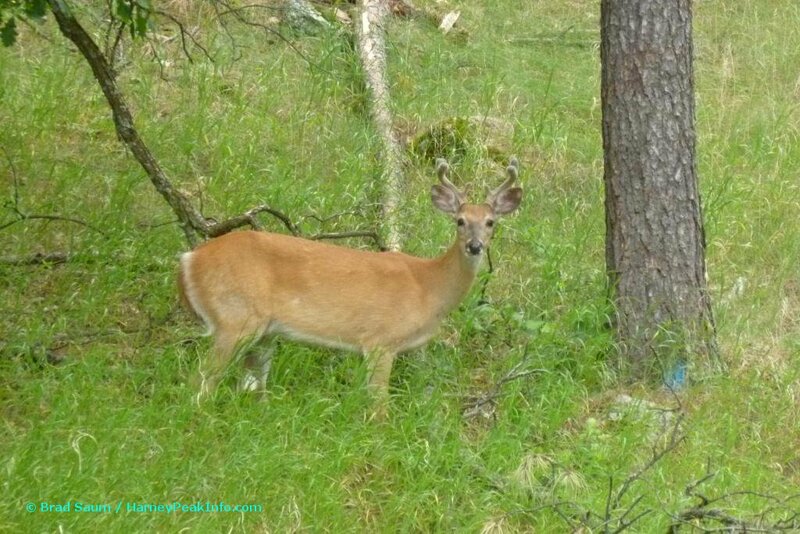 Deer have compact bodies with long, powerful logs and are excellent swimmers. Deer eat large varieties of food, but often forage on plants, including shoots, leaves, cacti, and grasses. Their special stomach allows them to eat some things that humans cannot, such as mushrooms and poison ivy. Their diet varies by season according to availability of food sources. The name of a male deer is referred to as a stag or a buck and a female deer is referred to as a doe or hind. The name of offspring, or a baby Deer, is a fawn or yearling. The average size of a litter is one or two fawns. The collective name for a group of Deer is a herd. The sound made by a Deer is referred to as a bellow. South Dakota deer can occasionally be seen along the Wildlife Loop Road in Custer State Park. They are more frequently seen in the mornings and evenings.